Aww, so sweet and pretty, a perfect card for a baby girl. That doily die is gorgeous! Adorable and so gorgeous, love that doily die. 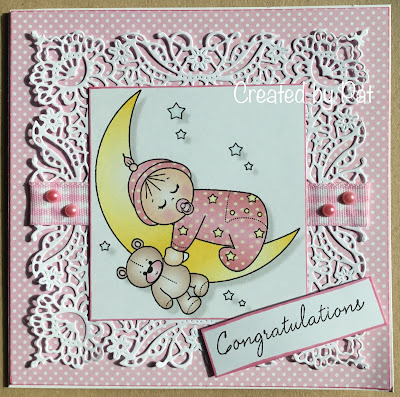 Lovely card for a new baby girl, Pat - that image is adorable and your doily die is gorgeous. Have a great evening. Such a pretty card Pat, an adorable image and beautiful die cut frame. 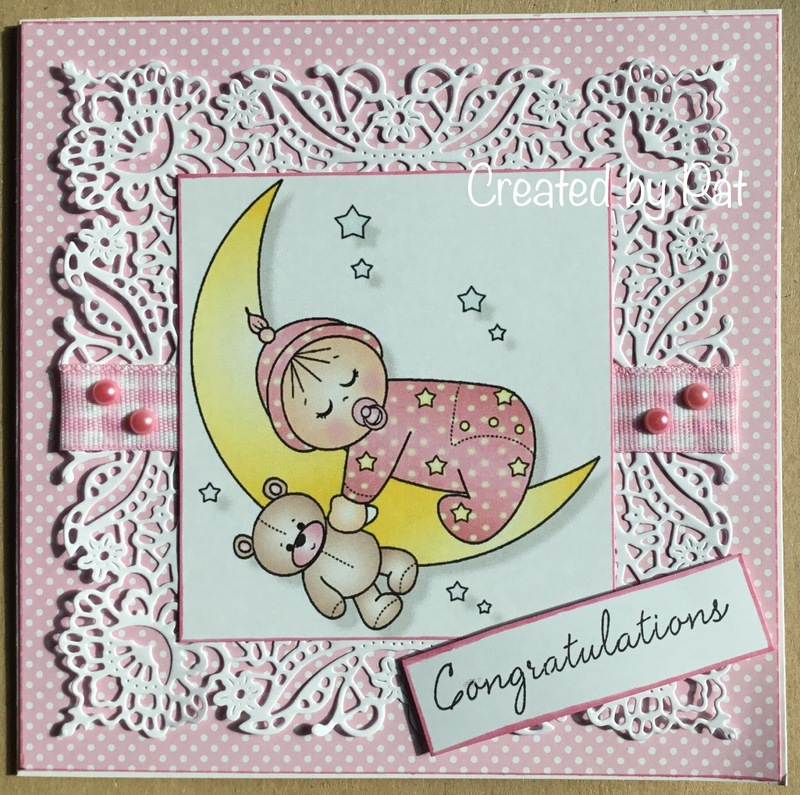 Such a sweet image and pretty Baby card you have made with it. Oh so adorable, Pat! What a cute image (pre-coloured are so useful, aren't they?!) and the lacy frame is just fabulous!